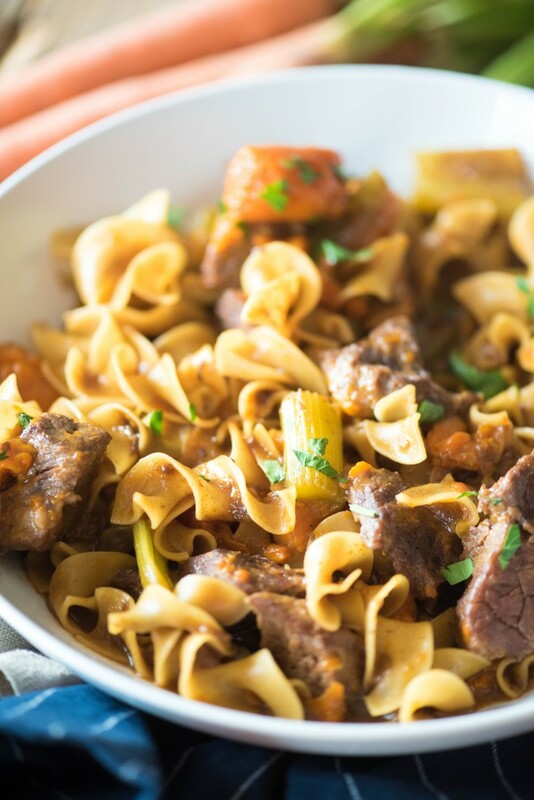 This Instant Pot Beef Stew Pasta is a fabulous way to combine the flavors of warm and comforting beef stew with the heartiness of beef and noodles. People really love beef and noodles. Like, a lot. People have never combined noodles and mashed potatoes before. Therefore, they haven’t really lived. My Slow Cooker Beef and Noodles went bonkers viral on Facebook for the three reasons listed above. It was a pleasant surprise, and signaled to me that I am not the only one ready to see a nip in the air. It dipped into the mid-60s here the last two days, and even though I’m sure many people were staunchly unhappy about that, I was thrilled. I am so ready for the end of summer. I have been locked into a perpetual summer for three years and I can’t wait for the change of seasons. I can definitely feel it creeping in. 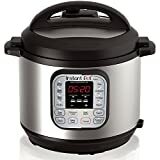 I got myInstant Pot on Amazon Prime Day, and have loved getting familiar with it. I’m still learning how to use my pressure cooker, but I’m less convinced that I’m going to blow my kitchen up than I was, and I definitely love the results that I am getting from it so far. This recipe DEFINITELY included. I had the idea to make a combination of beef stew and pasta awhile back. 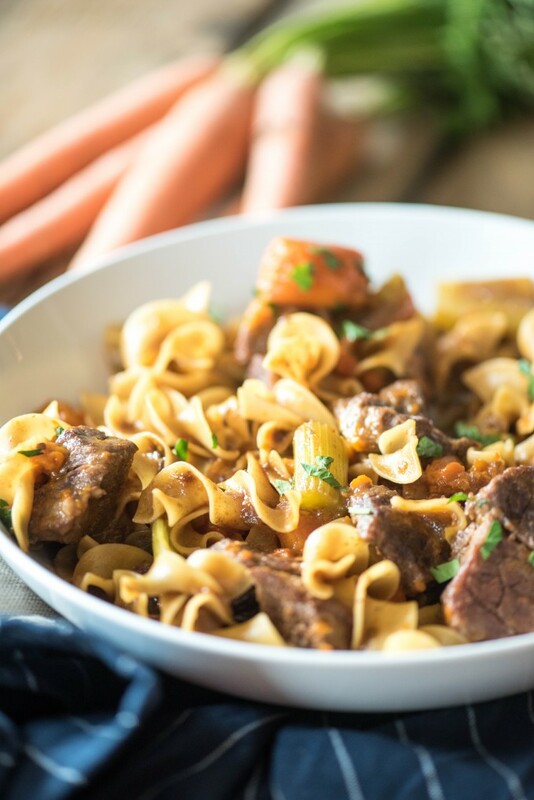 I had originally intended to do it in my slow cooker, but once I started playing around with the Instant Pot, I decided to figure out how to do this Instant Pot Beef Stew Pasta instead. 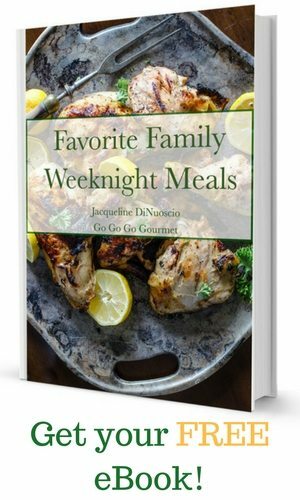 I am so glad that I did, because it turned this meal into something that I could do in under an hour- and those are my favorite kinds of meals. I packed half of this up and took it over to my in-laws as a thank you for watching the kids. They were really grateful to not have to cook that night, and sent me a text the following morning to let me know how phenomenal the dish was. 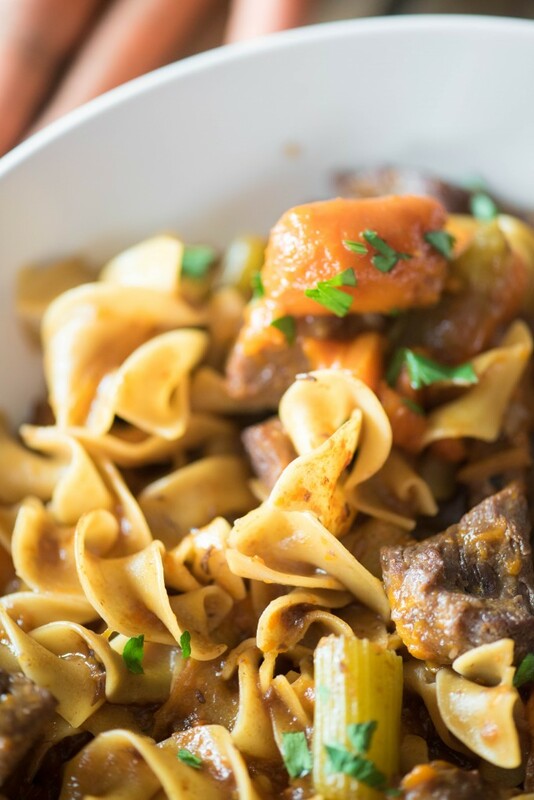 The concept behind the dish is quite simple- all the flavors of a great beef stew, with minimal ingredients and time, plus pasta (because everyone in this family loves their carbohydrates). 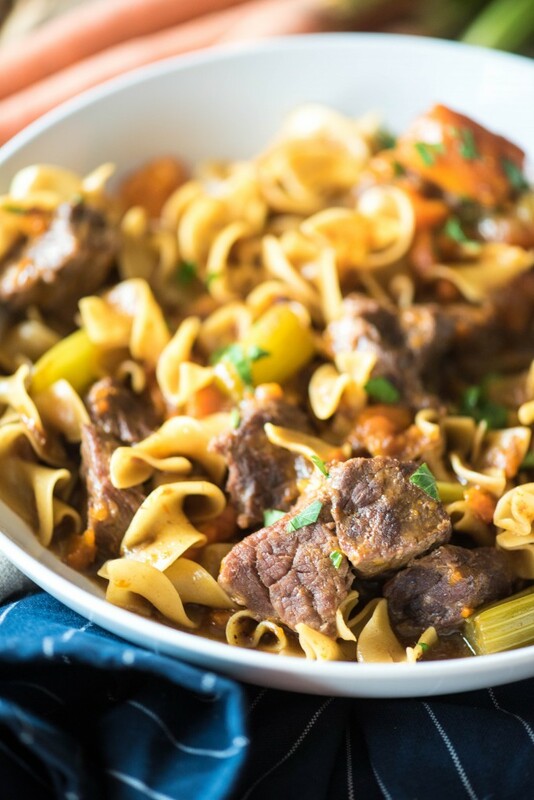 The two soup bases provide great flavor to the beef, and cooking the egg noodles right in the broth makes them absorb everything in the dish as well. David described the dish as “rich,” which I interpreted to mean “seasoned,” and he was right- it had very bold tastes, without being overly anything, including salty. A definite repeater! Note: In the video, you will notice that I stir in the noodles first, then the brown gravy mix. I have changed this in the recipe- I felt like the carrots broke up too much when trying to stir in the thickener with the noodles. I recommend stirring that in first, then carefully folding in the noodles. Heat 1 tablespoon olive oil in the inner pot on the Saute setting. Add beef to pot, season with salt and pepper, and brown on all sides. Add the carrots, celery, soups and water to the pot. Set on "Meat" for 25 minutes, then natural release for 10 minutes. Stir in the brown gray mix, then carefully stir in the noodles, trying to minimize the amount you break up the carrots. Set to "sauté" and cook for another 5 minutes, loosely covered with the lid, until the noodles are tender. Sure! 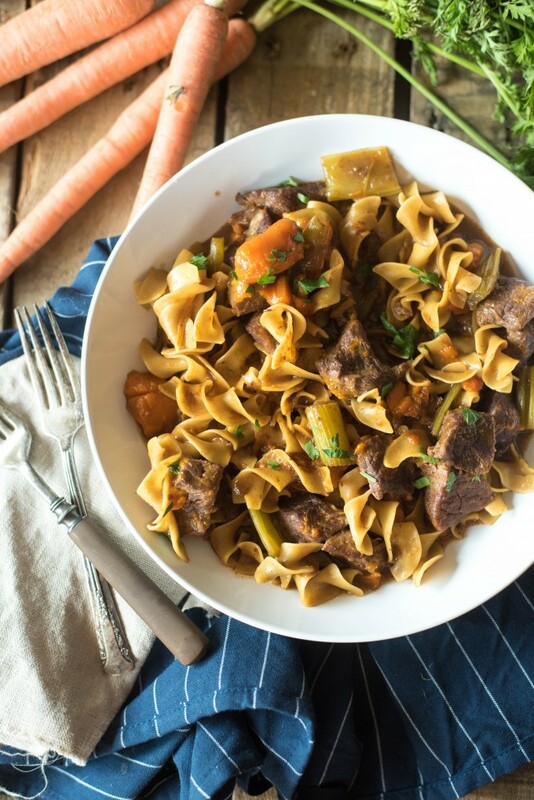 Just cook the beef and vegetables on low until tender, 6-8 hours, and then stir in the egg noodles and turn to HIGH for an hour. I’m new to using the instant pot and was wondering if I could cut this recipe in half? Would I use half as much of the water and soups too or does the amount of liquid remain unchanged? I would think you would need to cut everything in half, but I’m still learning to use mine too! This sounds delicious! 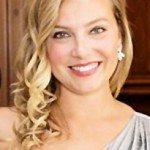 I am new to using the instant pot. I have the 8 quart pot. Will it work / fit in the 8 quart to make a double recipe of this….double all ingredients? I’m new too, but you’d need to cut everything in half. Ok, I don’t understand…you cut everything in half to make a doubled recipe?? I am just wondering if a doubled recipe (twice as much of all the ingredients to make a bigger batch to feed more people), would fit in the 8 quart pot or if it would be too much and not cook. Would there need to be adjustments in the timing to account for the extra amount of ingredients or would the timing be the same? I’m sorry, I misread! Yes, double it all. You should be ok on cooking time since it has to do more with the size of the cuts of meat than the amount. You could maybe increase it by 5-10 minutes to be on the safe size. I’ve made this again and I recommend taking the meat and vegetables out to stir in the pasta, then adding them back in after the noodles are cooked and tossing it all together. Helps keep the carrots from breaking up so much 🙂 I also like using cubed chuck roast- the stew beef I’ve been buying at the store has been super tough and disappointing lately.